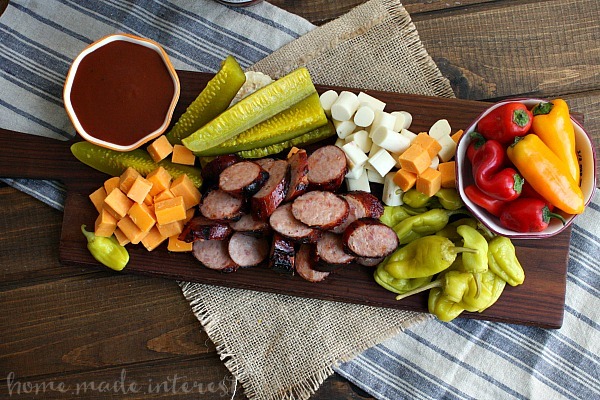 Memphis BBQ Sausage and Cheese Platter - Home. Made. Interest. 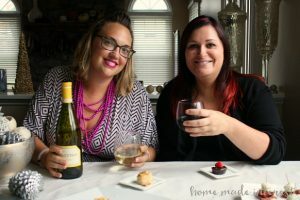 This post is brought to you by Activate by Bloglovin and its advertiser. All opinions are 100% mine. 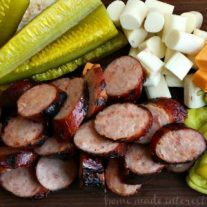 This Memphis BBQ Sausage Platter is a traditional BBQ appetizer made with BBQ grilled sausage. 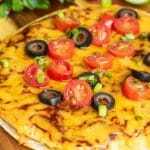 It is a great summer BBQ recipe that is perfect to take to a cookout. I’m going to start today’s post with an admission. I’m a BBQ snob. I can’t help it really. I’m from Memphis originally and even though I grew up in Maryland I was raised by southern parents and spent my summers visiting family in Memphis. Needless to say we take our BBQ seriously. When I was younger my absolute favorite thing was ribs. Memphis-style dry rub ribs. Yum! Now that I’m older I can appreciate just about any good BBQ from brisket (yes please!) to pulled pork, but if I had to choose a favorite now it would be a good Memphis BBQ Sausage and Cheese Platter. When I visit Memphis I always have to have at least one meal at my favorite BBQ restaurant and the sausage and cheese platter is the first thing I order…and maybe some fried green tomatoes because really, they are the best when you are in the south. It’s a really simple dish but OMG it is so good! It’s a big plate of BBQ smoked sausage, cubed cheddar and pepper jack cheese, dill pickle spears, pepperoncinis, and a side of BBQ sauce. I’m not gonna lie, sometimes I just get this as my meal. 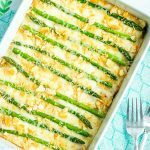 One of the really great things about this recipe is that it is super simple to make at home. Unlike a lot of BBQ recipes you don’t have to cook it for hours to get it tender and juicy (totally worth the wait!). BBQ smoked sausage just takes 15-20 minutes on the grill. What it does require is a really good BBQ sauce. I use Stubb’s Original BBQ suace. 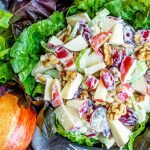 It is made with real ingredients for great flavor and we all know, great food = the real good life! 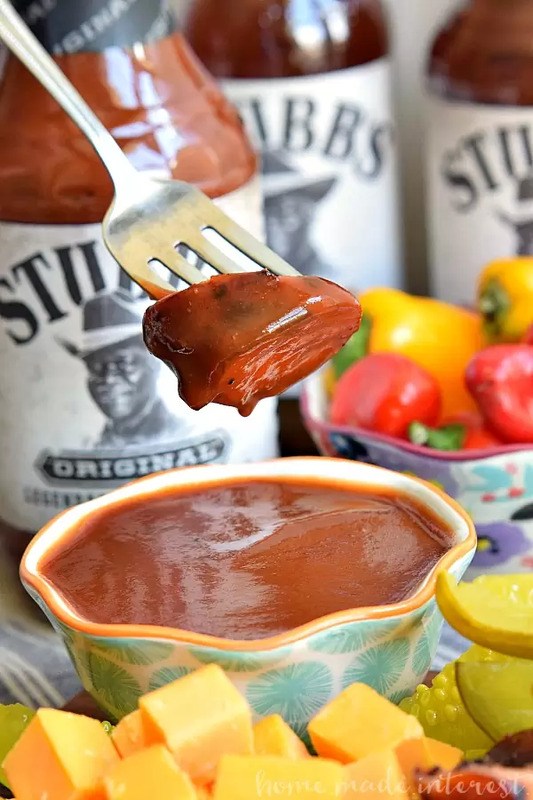 Stubb’s make all sorts of marinades, and sauces, as well as dry rubs, but my favorite is their Stubb’s Original BBQ sauce. It is made with tangy tomato, vinegar, molasses and black pepper, and they say if you pay real close attention, you might even taste the Love & Happiness. It sure makes me happy! It is sweet but not to sweet and it adds such a good flavor to the sausage. Speaking of the sausage you can use any smoked sausage or polka kielbasa that you like. 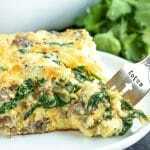 These types of sausages are already fully cooked and that’s the reason this recipe is so quick. 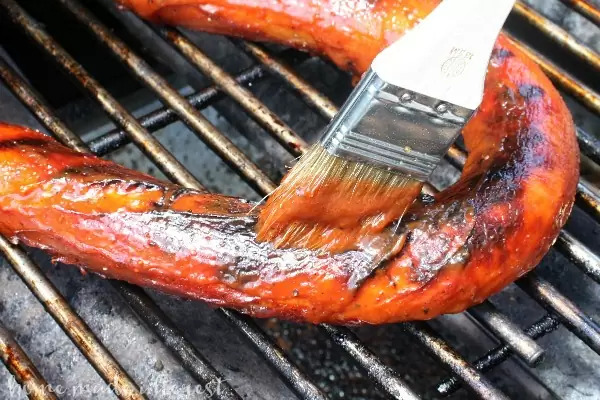 You’re really just taking the time to heat the sausage through and cook the BBQ sauce on, letting it caramelize a little and getting a nice char on the skin. Mmm, I love sausage and hot dogs on the grill! As the meat cooks over a medium high heat just keep basting it with the Stubb’s BBQ sauce and just before it splits, or just after it splits if you are like me and don’t pay attention, you can take it off the grill. Then it is just a matter of slicing up the sausage and then piling it on a big platter along with cubed cheddar and pepper jack cheese, pepperoncinis, and dill pickles. Oh, and don’t forget a little bowl of BBQ sauce for guests to dip the sausage in. I’m so hungry just looking at this picture. A traditional Memphis BBQ appetizer with BBQ grilled sausage, cheese, peppers and pickles. Place sausage on the grill and baste it with Stubb's Original BBQ Sauce. Turn the sausage over and baste the other side and let it cook for about 10 minutes basting it the whole time. When it is ready flip the sausage over and continue to cook and baste. You will know it is done when the skin is just about ready to split (or as soon as it does split). Remove the sausage from the grill and cut it into slices. 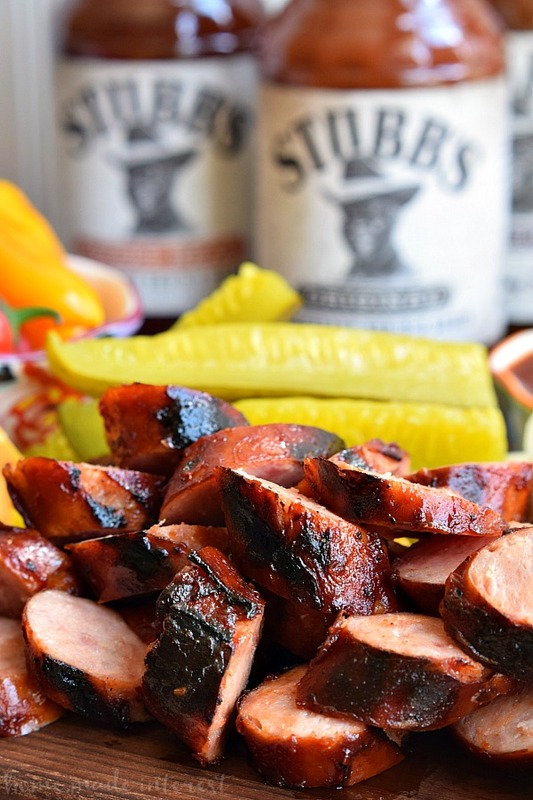 Place the sausage on a platter with the pepperoncinis, cheese, pickles, and some more Stubb's sauce for dipping. I hope you enjoy this Memphis classic as much as I do! This looks so delicious and would be perfect for when we have company over! I love the idea of a platter where everyone can get what they want! 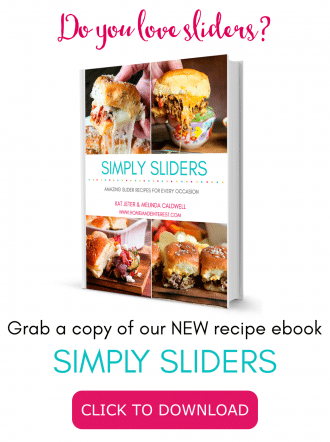 Love this twist on a meat and cheese platter… Totally trying this at our next cookout! This sounds amazing! I love that you made a platter out of it! Such a smart idea! Can’t wait to try it. I love this! I am from Memphis as well and making my fiancé (who is from Venezuela) a true 901 meal tonight and I knew I needed this as a starter! Thanks for reminding me how to do it correctly!